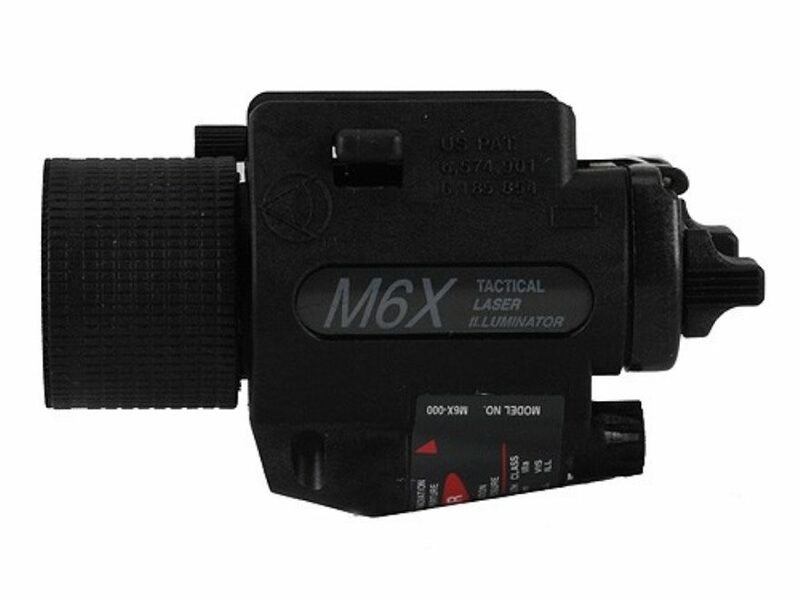 A product improved M6 tactical laser illuminator, the M6X boasts more lighting power and improved windage/elevation inserts to provide for better laser boresight retention. It features a slide lock mounting system, halogen bulb with a peak output of 125 lumens of white light, bright red aiming laser, interchangeable back plate and a run time of 1 hour. There are 4 different activation modes to choose from: Illuminator Only, Laser Only, Both and Off. Powered by two 123A lithium batteries (included). Limited lifetime warranty.